Being a part of the Greater Toronto Area puts a lot of pressure on residents and their properties. As a part of one of Canada’s “big hitter” cities, Etobicoke has a reputation to uphold! As much as you might try, it is easy for property owners to become overwhelmed. Naturally occurring pains in the neck are a dime a dozen, but our Gorillas are worth their weight in gold! 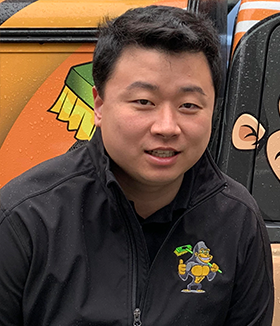 It has never been easier to keep your home or commercial space looking its best than with Alex Xia and his team of Gorillas. The Toronto area is known for its fluctuating weather patterns and stark seasonal changes. Whether you are dealing with rain or shine, there is still work to be done! While some chores require ample time, or manual labour, not everyone has the ability to get these done. Whatever your limitations are, our Gorillas are ready and willing to get the job done! Tasks such as snow clearing and salting, for example, are not fun for everyone. Spending time outdoors in -20 is not exactly an ideal way to spend the day for everyone. With so many methods of removal, our Gorillas get expert results in an timely manner. Exterior cleanings go far deeper than just simple snow removal. Graffiti removal, pressure washing, and soft washing can boost curb appeal when done correctly, but amateur methods can lead to damage. Difficult to reach areas in homes are often neglected just because of the inconvenience. Regular window cleaning helps improve the look of your property but it also protects the integrity of glass. While these services provide a clearer view, other unapproachable tasks such as roof cleaning, gutter cleaning or dryer vent cleaning can also maintain integrity while improving overall conditions. Don’t let a lack of routine bring down the condition of your residential, commercial or strata properties when a Gorilla is right around the corner.